Georgia Author of the Year Award in Poetry. Georgia-based poet Alice Friman’s The Book of the Rotten Daughter contains “astonishing poems which fearlessly jump into hell and out again, that resent or forgive,” writes poet Marianne Boruch, “poems which wryly, exactly and so richly honor the world of the living.” Her poetry collections include The Book of the Rotten Daughter, Zoo, and Inverted Fire. For her fifth full-length collection of poetry, Vinculum, (LSU Press), she won the 2012 Georgia Author of the Year Award in Poetry. 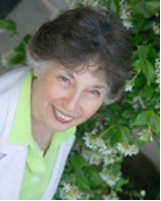 Professor Emerita at the University of Indianapolis, Friman has been awarded fellowships and residencies from the Indiana Arts Commission, the Arts Council of Indianapolis, the MacDowell and Yaddo colonies, and the Bernheim Arboretum and Research Forest. A frequent contributor to The Georgia Review, Friman is currently poet-in-residence at Georgia College and State University in Milledgeville. This entry was posted in Alice Friman on May 31, 2013 by Cindy.